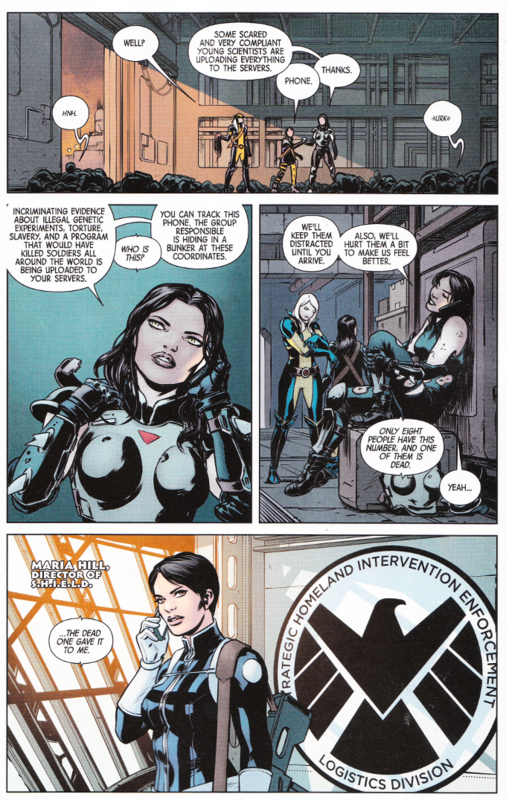 Laura Kinney - now called Wolverine - was astonished to find that she had "sisters". Clones made by the sinister Alchemax Genetics, altered to have no sense of pain and grown to be disposable assassins. Now, with one of the sisters dead, the girls are out for revenge. But will Laura be able to maintain her vow not to kill in the face of such evil? This issue proves a perfect conclusion to a wonderful opening arc. 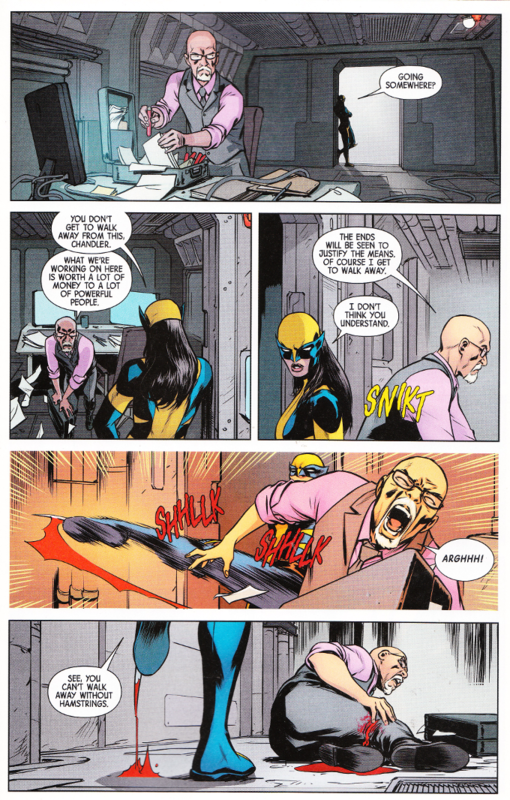 As I've said before, I've never been a big fan of Wolverine or the former X-23 but I'll give anything by Tom Taylor a shot. And I'm glad I did, because this series has been full of Taylor's trademark dark humor as well as some amazing action sequences. The artwork, as usual, proves epic in scope. David Lopez and David Navarrot are a highly underrated art team who deserve an Eisner Award for their work here. The color art by Nathan Fairbairn is equally impressive.